In this ever-changing, fast-paced, technological era, it has never been more important for physician practices to select the right EMR for their needs. While some practices are just onboarding from paper charts to electronic, there are still more early adopters who are updating and replacing systems every day. The EMR market is projected to reach $6 billion by 2015. And consumers are coming to expect quality of care and connectivity in all aspects of their lives, including from health care providers, labs and other health-impacting businesses. The implementation of the Meaningful Use initiative has created a ripple effect throughout healthcare, spreading out to fuel increased accountability, payment reform and new payer models that are as yet being developed for this technology. 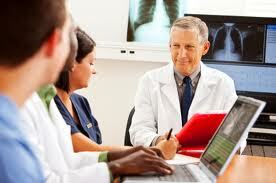 So, how should a practice begin the process of searching for an EMR system? In order to come up with a game plan, you should investigate your current technology situation and assess whether you have in-house IT staff or whether you will require support from your EMR provider. If you are replacing a solution, you should consider the reasons you are replacing it, and be sure to ask the questions you perhaps didn’t know to ask on the first go-around. As long as you start quality measure reporting and attestation by October 1, 2012, you will still be able to receive maximum incentives in the Medicare pathway and by 2016 to maintain maximum funding in the Medicaid pathway. You should maintain confidence that the incentive funds will be available because they are drawn from the Medicare Trust Funds held by the US Treasury, and are therefore not subject to annual Congressional budget appropriations. However, with the debt ceiling debate, there is always risk of change. EMR adoption incentives have been received by over 75 gloStream customers, and are flowing today. They are all front-loaded so you can achieve well up to half or more of the total incentive allotment in just the first 2 years. Once you select the correct EMR for your practice, you will realize returns well beyond the incentives, and will be providing your patients with themost advanced care possible while helping to create a smarter, more sustainable healthcare system in America and globally.